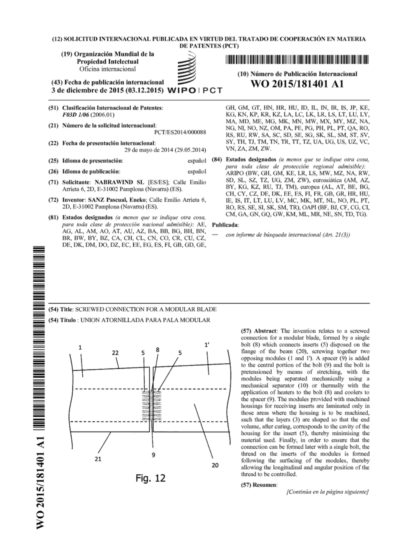 The most innovative aspects of our solutions are protected by means of international patents. 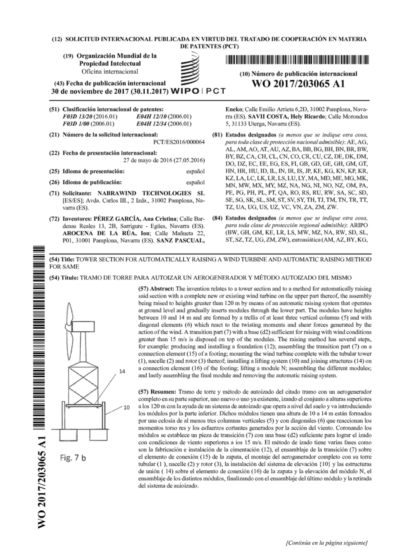 Patent of the Self-Erecting System, that allows the installation of the WTG without large cranes. Nacelle and rotor are lifted at the same time than the tower. 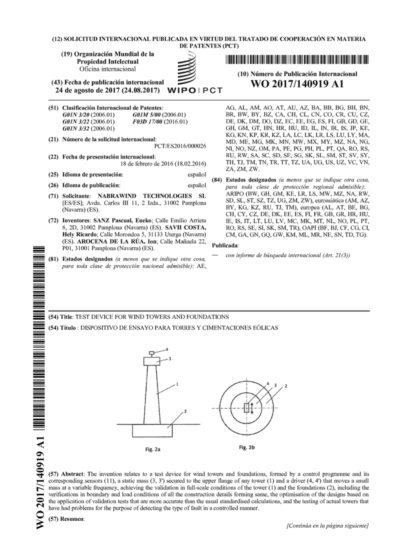 Patent of the bolted connections of the Nabrajoint system, based on a single bolt that is screwed in inserts bonded in both blade modules. 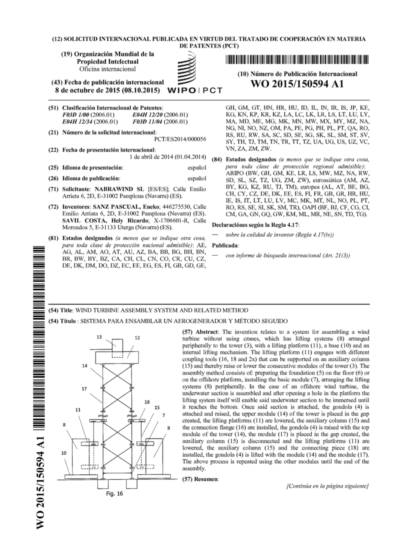 Patent of the Self-Erecting Tower Stucture, designed to be connected under a standard tubular tower and be able to be erected without large cranes. 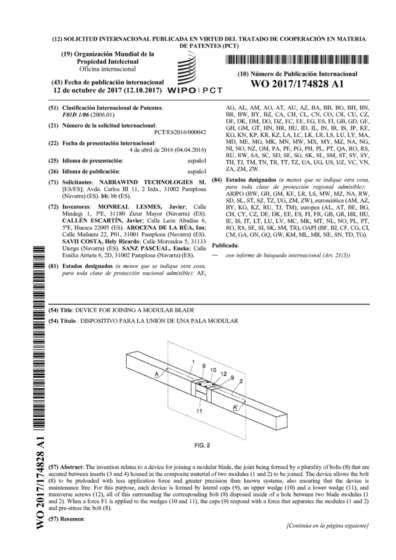 Patent of the expandable spacer that allows the tightening of the bolts of the modular blade connection, with low application force and high precision. 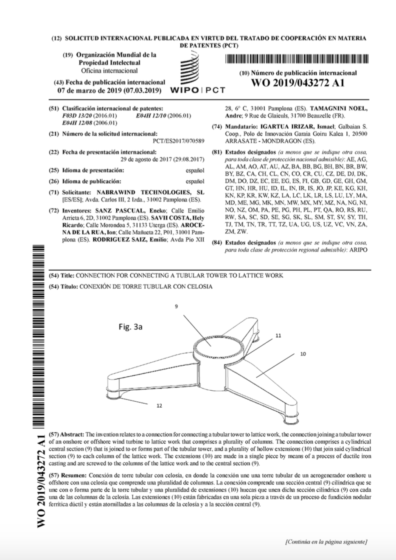 Patent of a connection for connecting a tubular tower to lattice work, the connection joining a tubular tower of an onshore or offshore wind turbine to lattice work that comprises a plurality of columns. 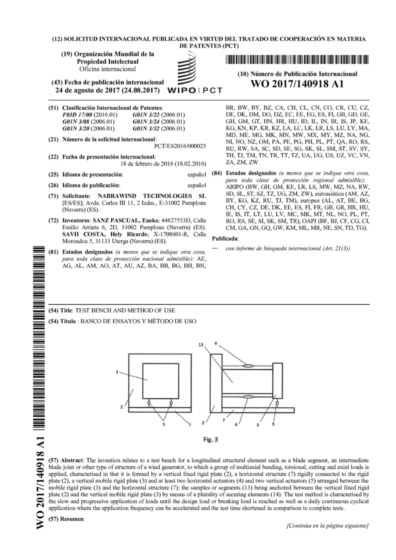 Patent of a test device that is able to test full-scale towers and foundation, applying real cyclic loads to accelerate the proven life of the structure.